Owned and operated by Scouts Canada, Camp Impeesa’s kids summer camps are open to boys and girls, Scouts and non-Scouts ages 8 to 17. 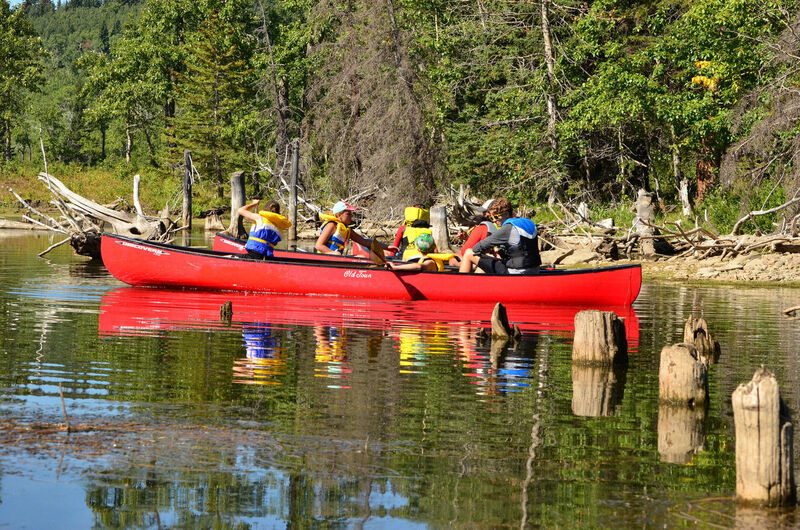 What makes Impeesa special for campers is the chance to have fun and become backcountry adventurers through a full range of traditional and contemporary camp activities on both water and land. 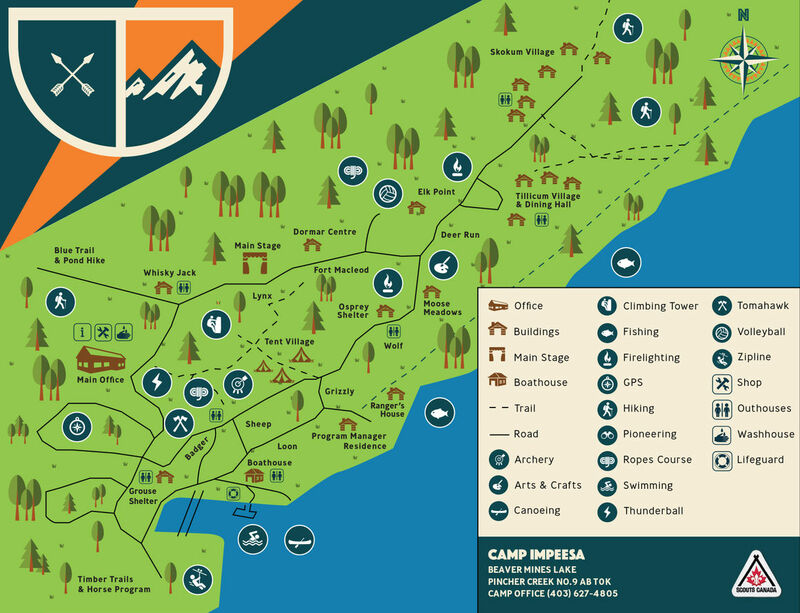 Fully renovated and expanded in 2016, Camp Impeesa now features a commercial kitchen and new dining hall, a new washroom and shower facility, and a new wheelchair accessible washroom/shower unit. 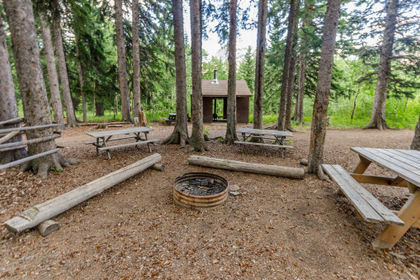 We are proud to be accredited members of the Alberta Camping Association and the Canadian Camping Association. 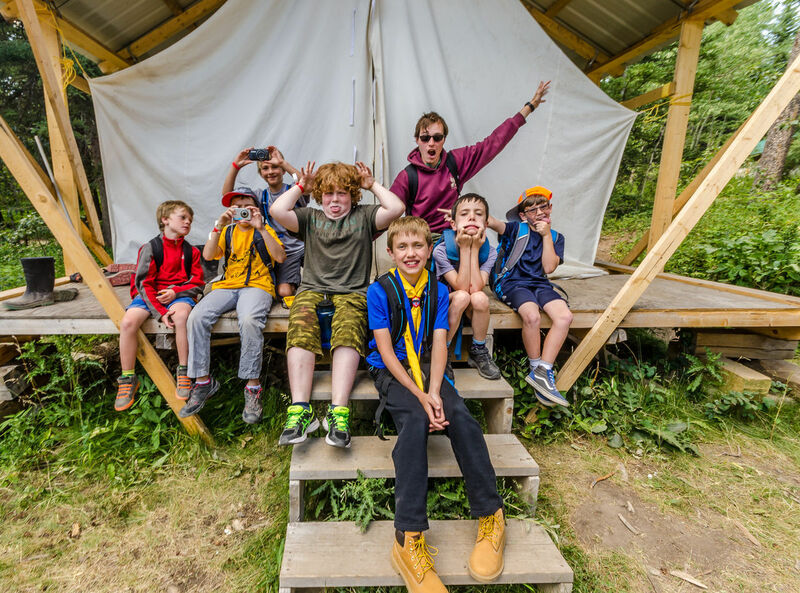 A Scouts Canada summer camp is best experienced when youth come with the other youth from their section. This is when they can put the skills that they have learned over the course of the year into action for a week at camp. We have trained Camp Counsellors that lead the youth through progressive adventures. We encourage Scout Groups to attend summer camp and have early bird pricing and bus transportation options. If a section wishes to come as a section (leaders included), then they can book separately using the Camp booking form and select the activities they wish to participate in. They can choose if they want food included, tents or cabins, and a choice of adventures. Camp Impeesa is the perfect outdoor school experience. Offer your students an experiential way to learn about nature, backcountry living, and outdoor skills. School groups rent Camp Impeesa during the school year for kick-offs or wind-downs, or a practical way to support the curriculum.